This time I bought Garnier Ultra Blends 5 precious herbs i.e, Green Tea, Lemon, Henna, Aloe, Eucalyptus. T.V. Commercial is itself fascinating and indicating that it is paraben free. I read the ingredients and yes! there were no paraben and sulphate mentioned. It contains Salicylic Acid too which is good for keeping skin and scalp problem free. Revive your Hair with blends of natural extracts. Their Formulas Contain precious natural ingredients finely selected for their known efficacy on hair. Formula is a blend of 5 precious herbs. Hair is nourished, healthier, & beautiful; revitalised wash after wash. Paraben free formula for strong bouncy hair and healthy scalp. Shampoo: It purely smells like a herbal shampoo. Mild fragrance of henna so those who don't like henna fragrance may not give this product 10/10. But for me it is not a problem because I know I am not using henna & it is just a shampoo LOL. Best part is it forms rich lather. I love it when shampoos or facewash form lather or foam. It gives me satisfaction. Now come to the important part which is how well it performs. 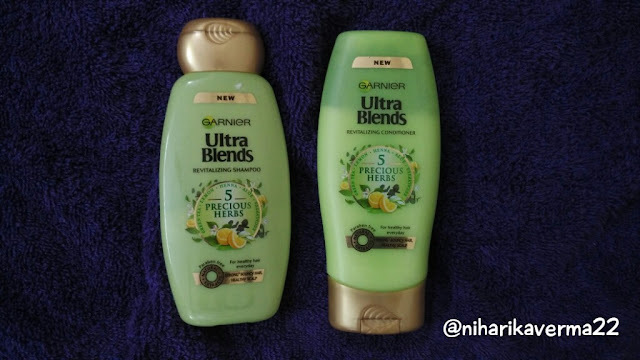 When it comes to Garnier for Hair Care I am 100% sure about it's performance. This shampoo removes all the oil and dirt from Hair at once. Even in Humid Days it works well. I felt my Hair soft and nourished from the first wash only. That herbal fragrance lingers on hair for a day. No traces of oil or dirt left :) I love this shampoo after all it is paraben free and contains 5 precious herbs which works magically for Hair :) I want to thank Garnier for taking care of us. 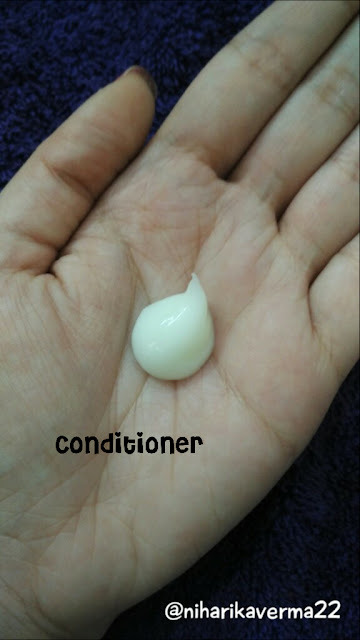 Conditioner: For all the conditioners it is important to keep it on your hair at least for 5-10 minutes. A professional way is to apply conditioner first and then comb your hair for even spread of conditioner. But that may create problem for some because hair strands becomes weak when they are wet. So I don't use comb technique. I simply spread conditioner evenly with my fingers and keep it for 5 minutes and wash it off. This conditioner does not smell like henna, it has a mild floral fragrance. Soft in texture and works very well. Conditioner is important to keep your hair soft and manageable & this conditioner performs it's duty well :) Felt my Hair smooth and manageable. All though I use Livon Serum every time after towel drying my Hair :) I am reviewing this after doing experiments. 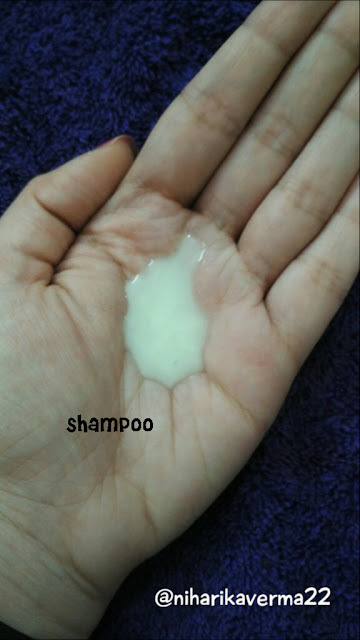 First time I used only shampoo and second time I used shampoo+conditioner to observe the change and yes! Conditioner works :) I Love my Happy Bouncy Hair. Both the shampoo and and conditioner satisfied me & I hope other varieties from this range will work amazingly too. If I missed anything or you feel any doubt feel free to ask :) Take Care! Nicely reviewed... I tried the Henna & Blackberry variant and loved it. It added shine and bounce to my hair.